Some of us depend on laser levels to carry out our jobs and it is difficult to do without one when it stops working. When a unit malfunctions, we usually want to try a few steps to figure if we can repair it at home instead of taking it to a professional. This helps us save time and money especially if the steps to solve the issue are easy. Depending on your knowledge of a unit you may be able to take it up on your own or choose to take it to a professional. We have a few tips for you that you can try when your laser level stops working before you take it to a professional for repair. If your laser level is not getting power then the first thing to check is whether the source from where it gets the power is fine or not. If your device uses alkaline batteries then the first step is to change the batteries and try once again. If your unit allows this, try standard batteries instead of rechargeable batteries to ensure that the batteries are not the cause of the problem. Try plugging your device to the main adapter to check if it works on direct power. For this, connect the unit to a DC power source. 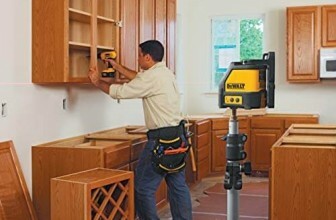 Make sure that you use the accessories provided with the laser level when troubleshooting the device. Depending on your device’s make and model, troubleshooting steps will also be mentioned on the instruction manual of your device. Go through the details on the manual and if you are still not able to solve the problem then contact the manufacturer of the device for further support. 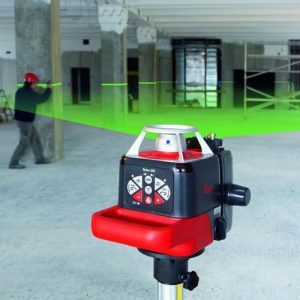 Sometimes, you will find your laser level not functioning properly when it comes to levelling. If the levelling is not done properly then it will affect the measurements that you get from the device. 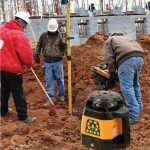 To ensure proper levelling, make sure that your unit is placed on stead surface, if it is set on a surface with heavy vibrations then you will end up with unsteady levelling and the laser lines will be unreliable. Depending on the type of laser level you are using, you can either wall mount it, use a tripod for it or keep it steady through pole levelling. The light conditions play an important role when it comes to the visibility of the laser lines. This does not mean that there is a problem with your device. This is common among all the best laser levels. A laser detector can address this issue with ease. This is an additional accessory that you will have to purchase. When you use a laser detector along with a laser level in bright light conditions then you will get more accurate results. 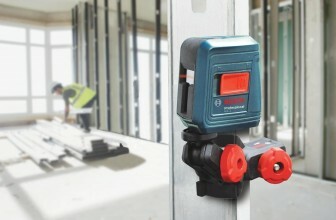 It is also helpful when you are trying you use the laser level for long distances. The laser detector detects the laser line and helps you find the most accurate measurement or alignment. When using a remote control with a line laser level, you must remember that most of the remote controls use technology which requires the user to be in a direct, uninterrupted line of vision from the sensor of the remote control to the sensor of the laser level. This means that if anything appears between the two sensors, your remote will stop working. Remote controls also have a specified range within which they work, so make sure that you use it within that range. You must also change the batteries of the remote control regularly so that you do not face problems because of weak batteries. If you own a rotating laser level which has stopped rotating then try to manually rotate the laser level to check if the rotations stopped because it is jammed. Sometimes, the head gears get jammed and at times the compensator is defective which can cause the laser level to stop rotating. 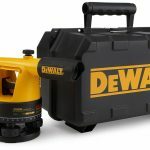 Another thing to look for is if the laser level is properly levelled or not. Check for loose connections which may be causing the problem as well. Depending on your diagnosis, you may have to take it to a professional for repair. You can contact the manufacturers for help or take it to a dealer. Many dealers can help you diagnose the problem at no charge. The complexities of the device do not really show on the outside, but inside the laser level there are many small parts that can be easily damaged if the laser level suffers a fall. To prevent this damage we must be very careful when using the laser level. 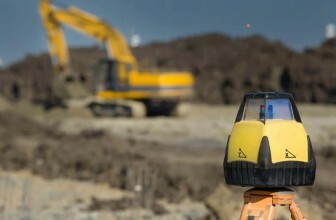 If it is mishandled or dropped then you may end up losing the settings of the laser level. A horizontal plane calibration test can help you check whether your unit is working properly or not. A calibration test can also help you figure if the device has gone faulty. If you notice any defects with the device after a fall or after mishandling the device then it needs to be taken to a professional. Sometimes, the motor of your unit can go faulty and it stops working. In this case you will have to take your Bosch laser level or Johnson laser level to a professional or you can contact the manufacturer and check for service centers where the motor can be replaced. If the unit is still in warranty, then the chances are that you may not have to pay for the replacement. However, if the motor is fine, then sometimes, a rotary laser level may not function properly. If this happens then check the joint of the rotary laser level for corrosion. In this case, apply some anti-corrosion ointment to clean this so that your laser level can continue to work. Follow these steps to resolve minor issues with your laser level and if it still does not work then take it to a professional who can get it to function properly. You can also have a look at some of the laser level reviews on the internet to solve your problems.